Why Is A Fitness Trainer Better Than A Regular Gym Membership? Hiring a fitness trainer is sure to bring many benefits because this individual is qualified to develop training programs, for one. Everyone is different, they eat, drink, think, play and work differently, so a fitness program has to be unique to the client. The trainer will take into consideration the person’s age and physical condition before designing a fitness program suitable to the client. Of course, one can easily join a gym or workout at home, but without the proper guidance of someone who is trained in the field, the results sought after may never be achieved. A fitness trainer will also go further to help his or her clients improve their diets so that clients can reach their weight loss and fitness goals sooner rather than later. What you eat will have a direct impact on how you look, and when following a fitness regime, it is imperative to eat right in order to feed the muscles and lose the fat. Unfortunately, so many people neglect the services of such qualified professionals, mostly because people believe them to be extremely expensive. However, when you consider the amount of time you save to achieve your goals, you can see that there is a lot of value that comes with the service. In addition to that, hiring a fitness trainer also means getting the motivation you need to go for, which is extremely important in losing weight, toning muscles, and improving overall health. Many people who exercised of their own accord will often find any excuse to avoid working out. However, with a planned schedule, people usually stay on course and have the opportunity to realize their goals. Moreover, workouts occur at times that are convenient for the client. 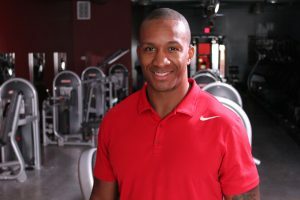 You should follow a fitness regime created by a certified fitness trainer here at We Train Atlanta. Working together with the client, we will do everything in our power to avoid you from failing, which is common when one goes it alone.